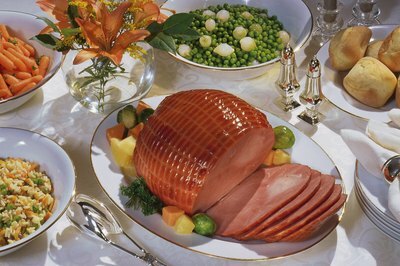 What size ham you should buy for Easter dinner depends on how many guests will be served, if the ham is bone-in or boneless and whether it will be served in controlled portions or buffet style. The serving size per person depends on the type of ham you're serving. According to the website Recipe Tips, you should buy 1/2 to 3/4 pounds per lb. for bone-in hams and 1/4 to 1/3 lb. per person for boneless hams. Using these guidelines, you would need a 5 to 7-1/2 lb. 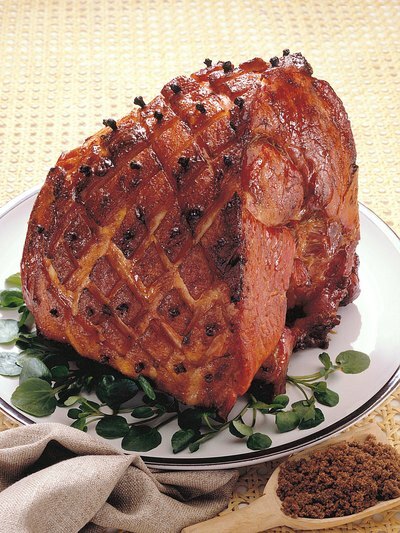 bone-in ham or a 2-1/2 to 3-1/3 lb. boneless ham for 10 servings. Another way to determine what size ham to bake is the servings per lb. method. Recipe Tips suggests a bone-in ham will serve two to three people per lbs., while boneless hams provide four to five servings per lb. These are fairly small servings--you may want to allow for larger portions for your guests. One recipe featured on the website Epicurious suggests serving an 8 to 10 lb. boneless ham for 12 guests. Serving style is an important consideration. 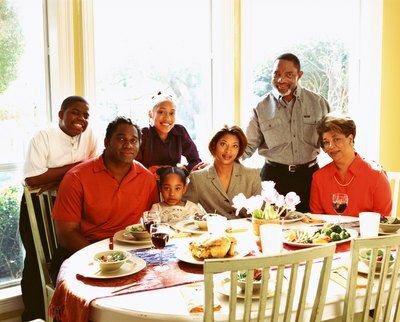 If the meal will be plated for the guests, using the above guidelines is a safe estimate. 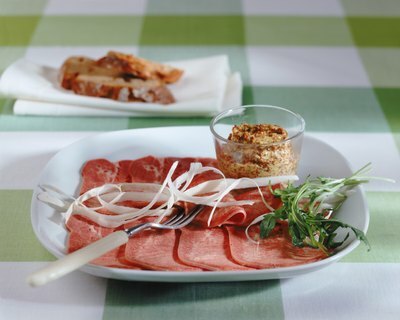 However, if guests will be serving themselves, it is advisable to buy a larger ham to accommodate guests who will take larger portions or return for seconds. Small children have smaller appetites. Teens and adults, especially men, tend to eat larger servings. 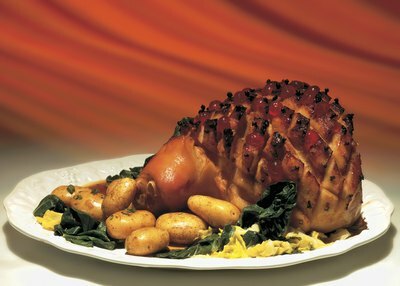 Take into account the age and eating habits of your guests when calculating what size ham to buy for your Easter dinner.